During a visit to Aksu Jabagly nature reserve in southern Kazakhstan, the wonderful Mrs Natasha Karatayeva of the Ruslan homestay showed me how she makes baursak, the delicious puffy fried bread served on special occasions all over Kazakhstan. This isn’t an everyday bread, but something for an important party, like a wedding, or even a memorial. 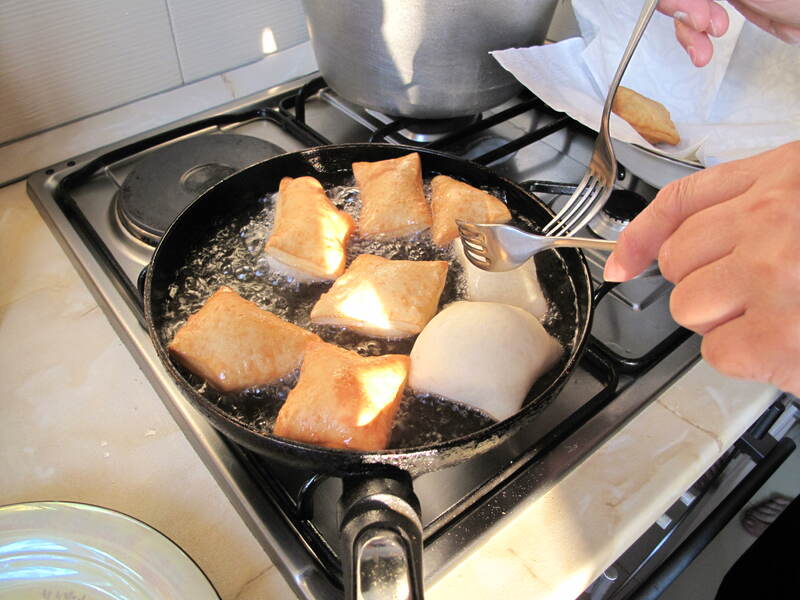 It is said that the smell of the oil and the frying baursak floats high into the sky so that your dead loved ones can feed on the aroma and enjoy them with you. It’s a beautiful thought as you fry. 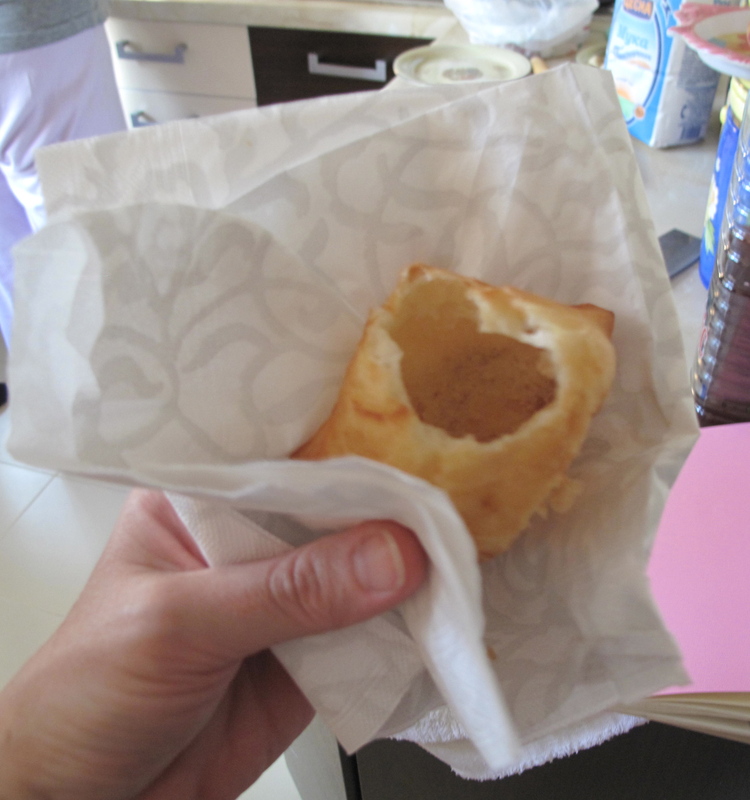 I’d had a lesson in baursak in Almaty, too, that time at Dana Altybaeva’s house (the photos in the recipe below). Dana had told me that you could vary the recipe according to whether you wanted it sweet or not, and whether you wanted the added richness of egg. Hers were unsweetened; Mrs Karatayeva’s were sweetened (yespe baursak). They both produced fabulous fluffy pillows of crisp yet soft dough, hollow in the middle, light as air, and irresistibly moreish. You can vary the recipe below as you prefer – just reduce the sugar to a pinch if you want a more savoury version. Another note – it sounds like a lot of salt, and you can reduce that too if you prefer – but it does taste good! Mix the ingredients together in a large bowl with your hands, and once it is pulled together knead it for up to 5 minutes until it is springy and forms into a nice, slightly loose, ball. Cover and leave in a warm place for a minimum of 4 hours (this is generally a dough made in the morning for cooking in the evening). After the rising time has passed and you are ready to cook, heat a light oil (e.g. sunflower) in a heavy pan for shallow frying – about 3cm depth of oil in a pan with high enough sides for safety. 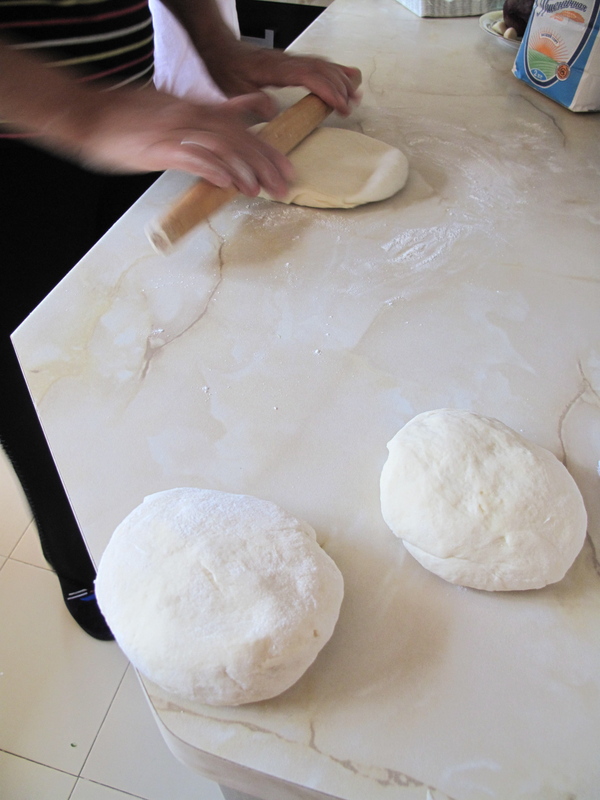 Separate the dough into 7 or 8 medium-sized balls and one at a time roll them out to a thickness of about 5mm. 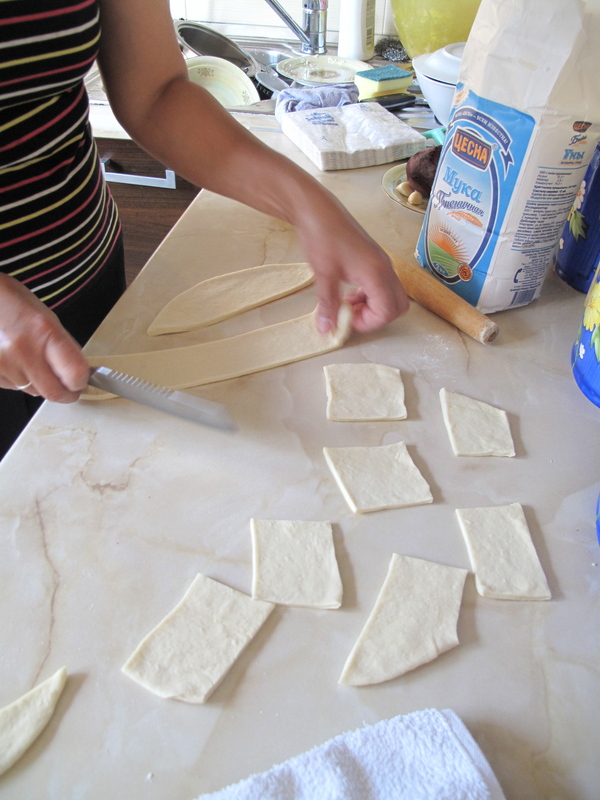 Cut your rolled dough into strips of around 10cm wide, and then each strip into rectangles. Don’t worry about the curved bits at the edges – these shapes do not have to be perfect, simply fairly regular. You can use either a straight sided or fluted cutter depending on what you prefer. As you make the shapes set them aside on a towel in a single layer, and repeat the process with each of your balls of dough. Once you are ready to cook, lay out a few of the shapes on a plate you can carry to the stove, and make sue your oil is at the right temperature. Mrs Karatayeva drops a match into her oil, and if it lights, it’s ready. You may prefer a more conventional method. like testing one small piece of dough before putting in the rest. Put as many pieces of dough as will fit in a single layer into the hot oil and fry, turning over to ensure they are golden all over. Scoop out, drain on paper briefly, and serve. 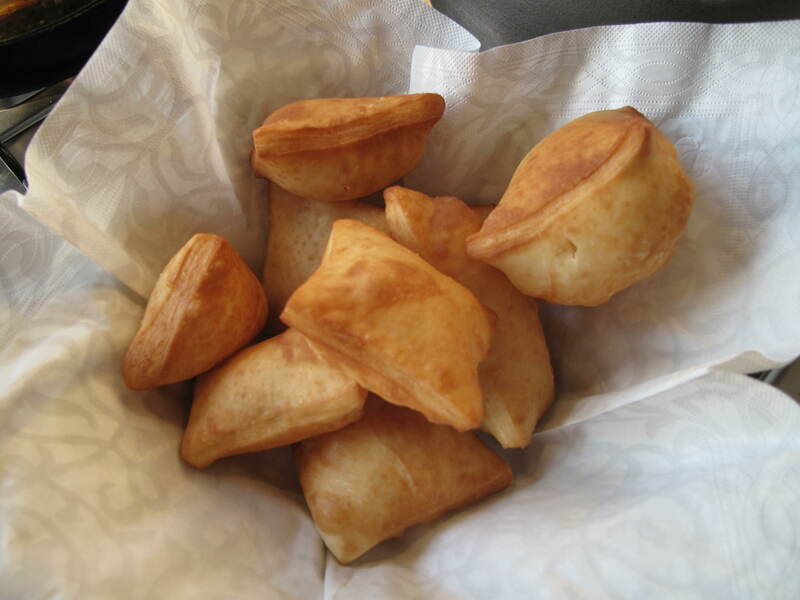 There is apparently another version, the damalak baursak, richer and a bit heavier: curds are added to the dough, and the breads are boiled before they are fried. I’d love to hear more about that one if anyone has had one or even cooked it.